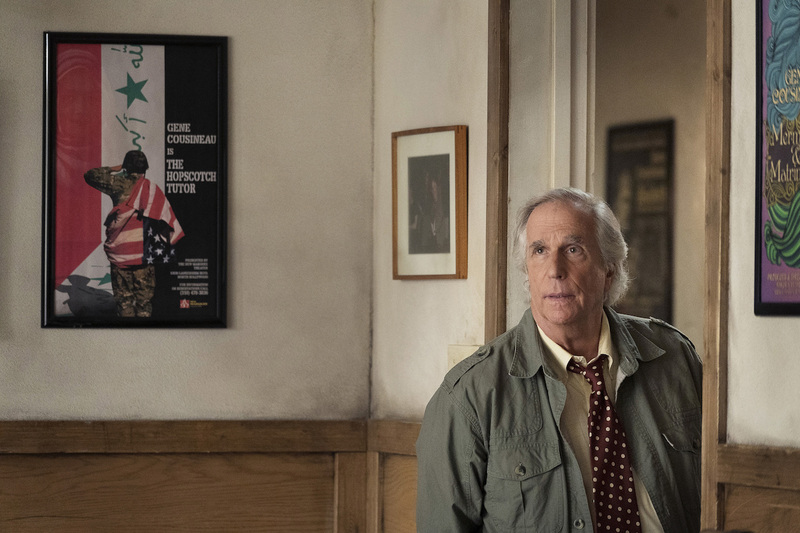 Barry S2 E2 review: Barry's despair is moving and used well for comedy – AiPT! A great second episode continues to show the deep character writing of Barry himself. The screws are tightening for Barry (Bill Hader) who now has the hilarious, but also very scary NoHo (Anthony Carrigan) riding him to enact murders. Episode 1 blew me away and episode 2 continues to set the bar high. Last episode Barry was not so nice to NoHo and now Barry is paying for it. This episode opens with Barry scoping out the hit job he has to enact or else NoHo will have his head. As this plot thread carries forward Cousineau (Henry Winkler) takes the acting experiment a step further, and Munroe (Stephen Root) gets closer to destroying Barry’s life…again. The big character element of this issue is Barry coming to grips with murdering again. After the events of the last season, he thought he was over and done with that life. Not so, and it’s tearing him up inside. In the first scene Barry asks, “Am I evil?” to NoHo, who hilariously says, “Absolutely, do I not tell you that enough?” NoHo has the hilarious nature of saying the most ridiculous thing at the moment and that includes being unable to read a person crying out for help. This opening scene mirrors well with Barry’s actions that close the episode, further putting into doubt Barry’s ability to go back to killing ever again. The supporting cast of the class continues to be great. The other two plot threads include Munroe, who is getting into some deep collaboration with the cops. I won’t say more, but this cowardly man may be on a path of destroying Barry’s new lease on life. Cousineau meanwhile extends the acting experiment of one of his students relaying a memory and having other students act it which results in hilarious moments of ego and not-so-stage-worthy stories. Sally (Isabella Vosmikova) continues to plot a course of what it’s like to be an actor. It’s not so glitzy and glamorous and even her ego needs to be knocked down a peg. Part of the genius of this episode, when you take a step back and look, is how most of the characters in this show are self-involved and unable to see outside themselves. Meanwhile, Barry is cursed at only ever being able to see inside himself and nothing more. It’s possibly why he has such a hard time acting because he can’t let go of his past and live in the moment. That ego is explored two-fold in Cousineau, first with his need to reach out to his son for obviously selfish reasons. He’s hurt, lonely, and needs to be loved, but he screwed that up royally. On the other hand, Barry uses Cousineau to get out of acting out his time as a soldier by suggesting he act out a moment he had with Cousineau. It’s a smart move that almost works until Cousineau’s despair reaches another rock bottom. The only element that didn’t work for me in this episode is the scene Barry was planning to act out from a moment he shared with Cousineau. The scene that he suggests it is too long and the payoff–Cousineau walks in on Barry trying it out with a classmate–is less funny and more cruel. It makes Cousineau look bad, rightfully so, but it doesn’t have the comedic effect it was going for. This second episode continues the first episode’s great pacing and interesting plot developments. Barry is an intriguing character you won’t want to look away from. This second episode continues the first episodes great pacing and interesting plot developments. Barry is an intriguing character you won't want to look away from.